After so long of not keeping any schedule or regularity in my posts, it's strangely comforting to be held accountable. Coming up with a way to jump-start my brain into following a routine can be (and always has been a bit of a struggle). Luckily, once I'm used to doing something I can stick to it with relative ease. So far, weekly blog posts are no different! This past week was a bit more... grown up? Though only a bit. 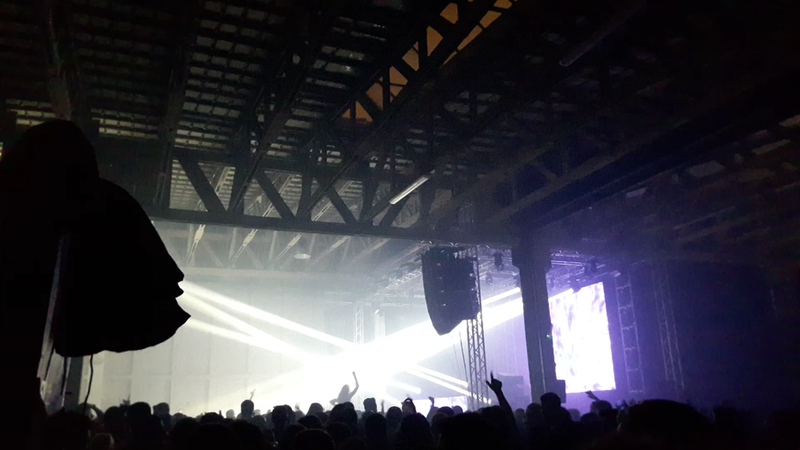 After typing up my post last week, we (the inhabiting volunteers of the hostel) did some pre-game drinking and then went to a rave with ~3,000 people. Why? Well, because according to the Julian Calendar, January 13th is New Years! I would feel a bit worse about celebrating so much these past few weeks, but drinks here in Serbia cost $1-2 per bottle (at a club; at the store, they're less than $0.50 each). So I've spent $15-ish in total since the end of December? Unfortunately, as I was going out to have fun I didn't bring my camera and thus I do not have any high-quality photos from that night. I did, however, manage to take some with my phone ☺. In the end, it was an interesting night full of more liquor, meeting new people, super loud music with eardrum-shattering bass and an exorbitant amount of dancing. I was even out late enough that I was able to take the morning bus back to the hostel rather than walking/taking a cab. So, that's a win, right? On a more responsible note, I've been working on for a while now and finally finished an Illustration Portfolio (downloadable HERE). So feel free to share that with anyone who is in need of an illustrator! Or just take a look if you're curious. This also means that I'm working harder at getting work as a freelance illustrator. Being able to travel indefinitely whilst paying for my expenses through artwork is my ultimate goal and what better way than illustrating? After all, I love how my drawings help to retell my story and doing something similar for a living is nothing short of a dream. In terms of artwork created this week, I've been a bit distracted. There's a piece that I've been working on since Budapest that's on revision 30 or so? It's a full scene digital painting with some intricate details and getting everything to meld together in harmony just isn't as easy as it sounds. I'll get it eventually, I just have to figure out what needs to be changed and then do it. Simple, right? Besides the portfolio and other project, I've been working on chalk art and one other BIG project that will be my Sistine Chapel when finished. I won't give away any hints besides how awesome this thing could be. Well, maybe one hint... (Large Mural). The chalk piece is to get donations for Dali's eye surgery. The poor guy has some health problems and is essentially blind. So I'll include a donation button below (just please specify that it's for Dali). Thanks! Besides my partying (which has finally come to an end, by the way) and artwork, I've been fairly busy doing random fixes throughout the hostel. Fixing door jams, some plumbing, light switches, and removing a HEAVY old boiler took up around 2 days of my week. Tom, an Australian and long-time resident (on and off) of the hostel, and myself then turned the previously mentioned boiler into a cool outdoor fireplace (after some time with an angle-grinder and hammer). Later, we're thinking of making it into a heated table for guests to sit around when it's cold out and an open fireplace for guests during Autumn. It's still on the drawing board, so nothing is definite quite yet. Anywho, that's been my last week. I'll upload whatever photos I have as well as my most recent chalkboard sketch. Last request. If you enjoy and/or find any of what I do interesting, please donate. Whether it's the blogs, the photography, or my artwork, any and all help is appreciated. I've kept my costs minimal (around $220 spent since the end of November), but I still have expenses paying for to keep going (i.e. new sketchbooks and ink/paint). If desired (and for donations of $10 or more), I'll paint a postcard and send it. Just include your name/address in the donation message (or email me HERE). At any rate, that's all for this week. I appreciate everyone who takes the time to follow and even help to promote me.